The Pune Chapter of ISACA (Information Systems Audit and Control Association) presents their monthly meeting, in which they have a Questions and Answers session with Pavan Duggal, Chairman ASSOCHAM Cyberlaw Committee, an advocate of the Supreme Court of India, and President of Cyberlaws.net. Pavan has been associated with the Ministry of Communication and Information Technology, Government of India on Cyberlaw and Electronic Governance legal issues. While a practicing Advocate, Supreme Court of India, Pavan Duggal has made an immense impact with an international reputation as an expert and authority on Cyberlaw and E-Commerce law. On 19th September, the Pune Open Coffee Club will host a presentation on copyrights and patents. The focus will be on clearing up common misconceptions POCC members have about copyrights and patents. Do you have any misconceptions? Our survey so far indicates that most people have some really major blind spots. Try the quiz below – the answers will be discussed during the meeting tomorrow and will be published on PuneTech next week. If you don’t see a form above, then click here to view the form in a browser window. Registration and Fees: This event is free for all. Send mail to tanvi@nishithdesai.com if you’re interested. Software Exporters Association of Pune (SEAP) and Nishith Desai Associates will hold a seminar on various legal issues an infotech business needs to worry about. The workshop aims to address issues related to intellectual property, trade secrets, usage of open source along with insights on key clauses pertaining to technology agreements from a legal as well as a commercial perspective. The workshop would also provide insights on enforcement and jurisdiction issues which are commonly faced in cross border technology agreements. Ms. Gowree Gokhale heads the IP, technology, media and entertainment law practice of the multi-skilled, research-based international law firm, Nishith Desai Associates. Her specializations also include litigation and dispute resolution, franchising, pharma and life sciences laws, commercial laws, HR laws. Ms. Gokhale has led several IP, technology and HR litigations. She has been involved in negotiations of large BPO and technology contracts. She is involved in patent oppositions and devising patent litigation strategies for clients. She has assisted international media and productions houses and pharmaceutical companies in structuring of their India operations, including IP structuring, and advice on regulatory issues. She specializes in structuring of cross border outsourcing and franchising arrangements and has negotiated several transactions both for Indian and MNC clients. Ms. Gokhale is a Solicitor and a registered Patent & Trade Mark attorney and has been practicing for the last 13 years. She is a visiting faculty at Institute of Intellectual Property Law Studies at Mumbai. She has authored research reports and articles on variety of subjects and has presented at various national and international seminars and conferences on IP, pharmaceutical, media and technology laws. She has is a regular speaker at NASSCOM TLF seminars on technology contracts, CII on enforcement of IP in India. Vice President – Legal at Oracle Financial Services Software Limited is an experienced professional in legal and commercial matters related to IP and IT industry worldwide. Bharat has the opportunity of interacting, negotiating and concluding business deals globally with experience spanning across functions including mergers & acquisitions, intellectual property, customers, partners, vendors and employee related matters, corporate affairs, group integration, business practices, risk management and compliance. Bharat enjoys the continuous challenge and rewarding experience of working with professionals of different worldviews. He is actively involved as a speaker at various forums in spreading awareness about intellectual property, technology contracts and compliance. He is also one of the founding members of the Technology Law Forum (TLF). He graduated out of Mumbai University and has a Degree in Law. Ms. Shafaq Uraizee Sapre is a senior member of the Technology, Litigation & Dispute Resolution, Fund Investment and Real Estate Practice Groups at the firm. Ms. Sapre received a Bachelors and Masters degree in law from the University of Bombay. Ms. Sapre’s practice focuses on cutting edge complex cross-border litigations and international commercial arbitrations. Ms. Sapre is a leading attorney in assisting clients to reach creative and pragmatic solutions and effective dispute resolution strategies. In addition to in-house representation, Ms. Sapre represents clients in Supreme Court, High Court and respective Tribunals in a wide-range of sectors including corporate, media, entertainment, franchising and oil & gas. Ms. Sapre’s practice includes a variety of transactions with both domestic and international venture capital and private equity funds. Ms. Sapre has advised and assisted clients on issues concerning the legal aspects of structuring and restructuring investments in India and globally, documentation, private equity investments and mergers and acquisitions across a multitude of sectors. Ms. Sapre has led several legal due diligence teams and often renders opinions on issues concerning litigation, arbitration, Indian labor laws and contract law. Ms. Sapre has spoken at the Confederation of Indian Industry and actively writes for publications such as the Indian Venture Capital Journal. Ms. Sapre is a member of the Bar Council of Maharashtra & Goa and has been practicing as a litigator at the Bombay High Court since 2000. On the occasion of World Intellectual Property Day, MCCIA is organizing a workshop on ‘Intellectual property Right awarness, acquisition and commercialization”. The workshop aims to provide an interface between the Industry and IP professionals so that the participants can leverage IP as a better business tool in their Corporate Wealth Creation. The topics of discussion will include cost effective way to protect IP, IP as a successful business tool, licensing stratergies, IP valuation doring public issues, IPR policy acquisition, invention disclosure etc. The three hour workshop will commence at 3pm on Friday, April 24 at Hall No. 6, 5th Floor, A Wing, MCCIA, Senapati Bapat Road, Pune 16. There will be no participation fees for this workshop. For more information about other tech events happening in Pune, see the PuneTech Calendar. POCC meeting: What should I create: sole proprietorship, partnership, pvt. ltd., LLP? What: Pune OpenCoffee Club meeting to discuss company formation, registrations, tax planning and other related issues as they pertain to early stage startups. There are a number of things about company formation, registrations, taxation, accounting and finanace, which are very confusing to young startups. It is not clear which experts to go to for advice, and the costs vary widely, and the expenses are quite significant for new startups. 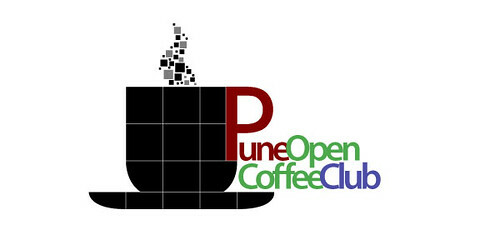 To tackle these questions and give everyone an overview of this area, the Pune OpenCoffee Club will have a session with three experts who will help us understand these issues and answer our questions. Prakash Shah, is a partner at a well known CA firm in Pune, started by his father. 1. Differences between sole proprietorship / partnership / pvt. ltd. and the new LLP. Which is appropriate in which circumstances. Licenses, costs, tax implications. 3. Tax planning, expenses and deduction. Jayesh will give a presentation giving the basics of the above topics, so that everybody has an overview of the area, then we will have a discussion session where we can get our questions answered by Prakash, Pawan and Jayesh. Archival of e-mails and other electronic documents, and the use of such archives in legal discovery is an emerging and exciting new field in enterprise data management. There are a number of players in this area in Pune, and it is, in general, a very interesting and challenging area. This article gives a basic background. Hopefully, this is just the first in a series of articles and future posts will delve into more details. Compliance – Ensuring that the archival store complies with all the relevant laws. For example, the archive must be tamperproof. Archival software started its life before the advent of these compliance laws. Basic email archival is simply a way to move all your older emails out of your expensive MS exchange database, into cheaper, slower disks. And shortcuts are left in the main Exchange database so that if the user ever wants to access one of these older emails, it is fetched on demand from the slower archival disks. This is very much like a page fault in virtual memory. The net effect is that for most practical purposes, you’ve increased the sizes of peoples’ mailboxes without a major increase in price, without a decrease in performance for recent emails, and some decrease in performance for older emails. Unfortunately, these guys had only middling success. Think about it – if your IT department is given a choice between spending money on an archival software that will allow them to increase your mailbox size, or simply telling all you users to learn to live with small mailbox sizes, what would they choose? Right. So the archival software companies saw only moderate growth. All of this changed when the e-discovery laws came into effect. Suddenly, archival became a legal requirement instead of a good-to-have bonus feature. Sales exploded. Startups started. And it also added a bunch of new requirements, described in the next two sections. Before I start, I should note that “IT Compliance” in general is really a huge area and includes all kinds of software and services required by IT to comply with any number of laws (like Sarbanes Oxley for accounting, HIPAA for medical records, etc.) That is not the compliance I am referring to in this article. Here we only deal with compliance as it pertains to archival software. The major compliance requirement is that for different types of e-mails and electronic documents, the laws prescribe the minimum number of years for which they must be retained by the company. And, no company wants to really keep any of these documents a day more than is minimally required by the law. Hence, for each document, the archival software must maintain the date until which the document must be retained, and on that day, it must automatically delete that document. Except, if the document is “relevant” to a case that is currently running. Then the document cannot be deleted until the case is over. This allows us to introduce the concept of a legal hold (or a deletion hold) that is placed on a document or a set of documents as soon as it is determined that it is relevant to a current case. The archival software ensures that documents with a deletion hold are not deleted even if their retention period expires. The deletion hold is only removed after the case is over. The archival software needs to ensure that the archive is tamperproof. Even if the CEO of the company walks up to the system one day in the middle of the night, he should not be able to delete or modify anything. Another major compliance requirement is that the archival software must make it possible to find “relevant” documents in a “reasonable” amount of time. The courts have some definition of what “relevant” and “reasonable” mean in this context, but we’ll not get into that. What it really means for the developers, is that there should be a fairly sophisticated search facility that allows searches by keywords, by regular expressions, and by various fields of the metadata (e.g., find me all documents authored by Basant Rajan from March to September 2008). Sadly, just having a compliant archive is no longer good enough. Consider a typical e-discovery scenario. A company is required to produce all emails authored by Basant Rajan pertaining to the volume manager technology in the period March to September 2008. Now just producing all the documents by Basant for that period which contain the words “volume manager” is not good enough. Because he might have referred to it as “VM“. Or he might have just talked about space optimized snapshots without mentioning the words volume manager. So, what happens is that all emails written by Basant in that period are retreived, and a human has to go through each email, to determine if it is relevant to volume manager or not. And this human must be a lawyer. Who charges $4 per email because he has to pay off his law school debt. For a largish company, a typical lawsuit might involve millions of documents. Literally. Now you know why there is so much money in this market. Just producing all documents by Basant and dumping them on the opposing lawyers is not an option. Because the company does not want to disclose to the opposing side anything more than is absolutely necessary. Who knows what other smoking guns are present in Basant’s email? Thus, a way for different archival software vendors to differentiate themselves is the sophistication they can bring to this process. The ability to search for concepts like “volume management” as opposed to the actual keywords. The ability to group/cluster a set of emails by concepts. The ability to allow teams of people to collaboratively work on this job. The ability to search for “all emails which contain a paragraph similar to this paragraph“. If you know how to do this last part, I know a few companies that would be desperate to hire you.